The White House on Thursday named Brig. Gen. (Ret.) Gregory Touhill as the Federal government’s first chief information security officer, bringing to a close an executive search that has gone on for more than seven months. 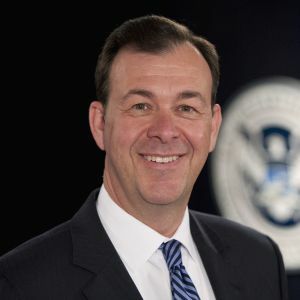 Touhill, who retired from the Air Force in 2013, served most recently as the deputy assistant Secretary of Homeland Security for Cybersecurity and Communications. Scott also announced the appointment of Grant Schneider, the director for Cybersecurity Policy at the National Security Council, as the acting deputy CISO. “In creating the CISO role, and looking at successful organizational models across government, it became apparent that having a career role partnered with a senior official is not only the norm but also provides needed continuity over time,” Scott said. Touhill enters the job less than four months before the Obama administration leaves office and a new administration is likely to shuffle most of the top national security leadership posts. Touhill recently participated in a panel discussion moderated by MeriTalk during the Symantec Government Symposium, where he was outspoken about the need to improve communications between agency cybersecurity personnel and operations managers. Another major issue that Touhill said must be addressed is the prevalence of shadow IT—systems and devices deployed without the knowledge or approval of agency CIOs or security officials—throughout the Federal government. But just as problematic is the large number of old systems that have simply been abandoned from a maintenance and upgrade perspective, leaving them vulnerable to widespread security threats. “There’s a lot of orphan IT out there that CIOs don’t even know about,” Touhill said.